In the spirit of Halloween in a few days, I thought I would post the closest photo I've got to something "Halloween-ish." I absolutely love to photograph old cemeteries. They draw me in with their mystery and charm. 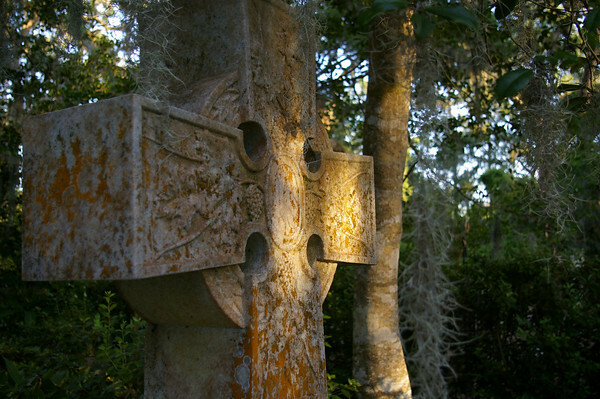 One of my all-time favorites is at the Episcopal Church on St. Simon's Island, Georgia. There is no place more tranquil on earth to me than the north end of that island. I actually have branded myself for life with a tattoo that reminds me of there and the calmness it brings to my otherwise chaotic life. This photo was taken on a June 2008 girl's trip that couldn't have come at a more perfect time. I find such beauty in the sadness of this place.